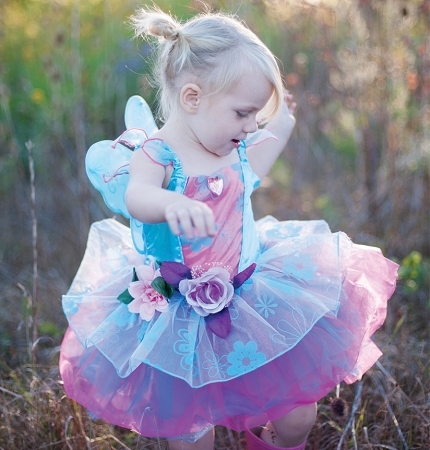 Flower Fairy Dress with wings is a real princess costume. Fairy dress has skirt of blue and pink flocked organza with velvet-daisy detailing on this shimmering organza, fairy princess is sure to impress! Set comes with mini-wings and glitter crusted flowers for extra flourish.